Does your business struggle to get reviews? Are consumers unable to find your business online? Online reviews are a crucial part of any business. The vast majority of consumers (86%) read reviews for local businesses. And most of them trust reviews as much as personal recommendations. A recent study found that 59% of consumers have written reviews for local businesses and that 86% of consumers would consider leaving reviews for businesses. So why the gap between those who would consider leaving a review and those who actually do? Probably because last year only 66% of consumers were asked to leave a review (down from 74% the previous year). If 70% of consumers that have been asked to leave reviews do so, why aren’t you asking every single person to leave a review? 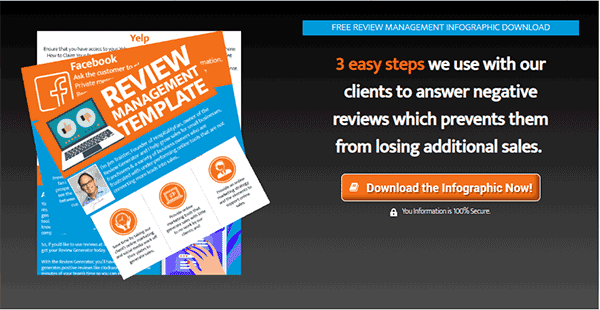 Here are 3 practical things you can implement right now to get more reviews for your business. As long as you’re not soliciting only good reviews or offering compensation for reviews, you’re in the clear. Don’t let fear of negative reviews keep you from asking. Find creative ways to ask. Mention that you welcome feedback on the receipt, your e-newsletter, or put up a sign in your establishment. A lot of consumers just simply don’t think about leaving a review. They do their business and then go on with life. So why not make it easy for your guests to leave a review before they leave your establishment. Some of our clients have set up a computer tablet (think iPad, Fire, etc.) in a centralized location that allows guests can share their feedback. Based on the type of business, using the tablet guests can leave a review on various platforms – Facebook, Google, Angie’s List, etc.). It’s completely safe and super convenient. If your customer is already on their phone they’re one step closer to leaving a review. With 80% of 18-34-year-olds leaving businesses reviews, wouldn’t it be great to lead them right to the place online where they can rate your business? If you’re a service-oriented business you likely already have the customer’s phone number. Why not text a customer a caring follow-up message with a link to leave a review? Review management software like the one we offer lets the customer leave a review/recommendation on Facebook or Google in just a few clicks. Consumers read an average of 10 reviews for every business, so the number of reviews could make the difference of whether or not someone does business with you. When you ask every customer to leave a review, you’re far more likely to grow the number of reviews quickly and naturally. If you need help growing reviews for your business, we can help with that. Click on the image below for more helpful tips.